With the backing of Behind The Eyes, three friends — Michelle, Peggy and LaDreda — spearheaded a children’s book project to plant the seeds of citizen activism for racial, social, economic and environmental justice. Black, brown and white children all benefit from learning how to feel empathy and knowing that they hold the power to change their society. Thinking long-term, educating children will empower them in their own lives and make it better for future generations of every race, religion and orientation. 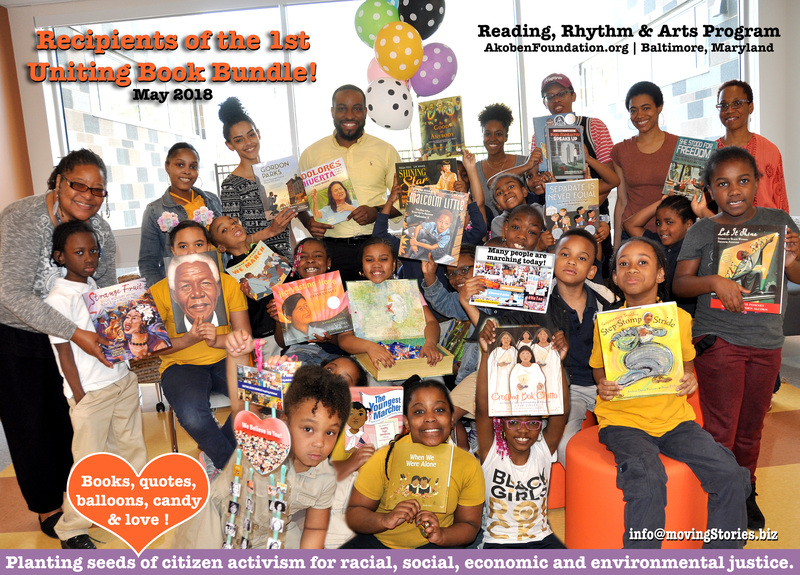 Thanks to many generous donations, we were able to share 26 picture books with a group of beautiful children at the wonderful “Reading, Rhythm and Arts” program by the Akoben Foundation in Baltimore, Maryland. The list of books was carefully curated and more can be found at The Conscious Kid Library. 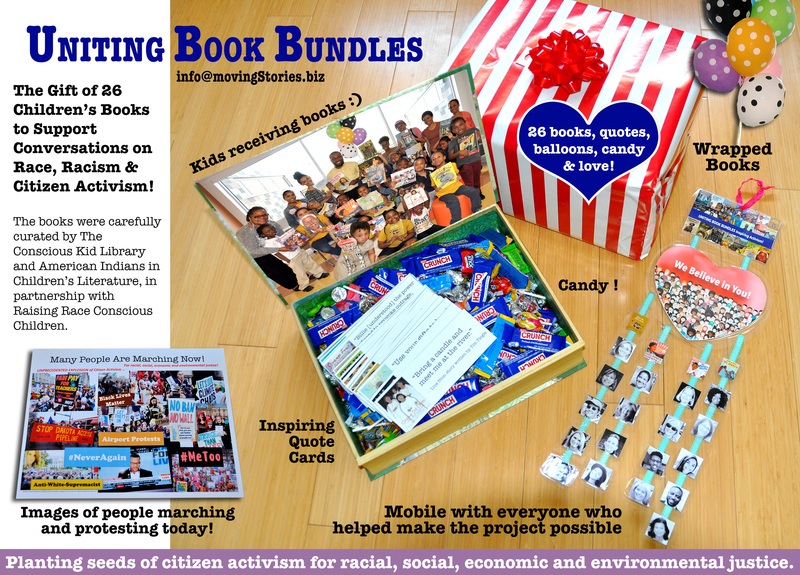 If you wish to hold your own fundraiser to give a Uniting Book Bundle to a school, class or group of children near you, contact us.